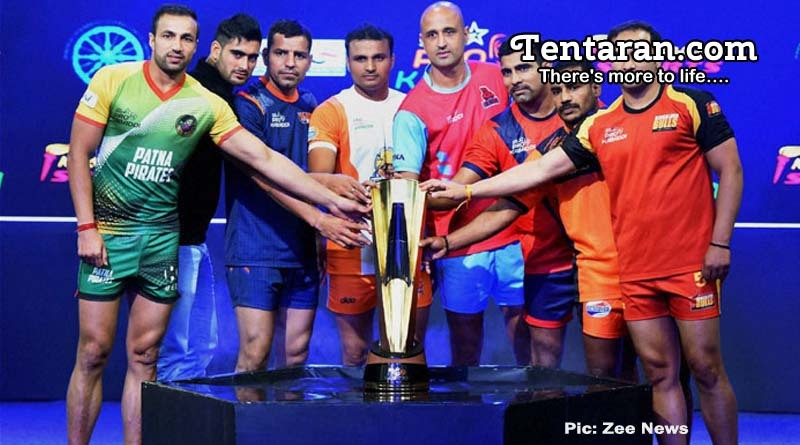 The first day of the Pro Kabaddi League in the capital of U.P., Lucknow kicked off in style with two tightly contested matched. UP Yoddha and U Mumba kicked off the proceedings for the day. Yoddha went into the match with great home support and were clearly pumped up as they looked to defeat Mumba on home turf. They failed to capitalize on home advantage as they went down 34-37. 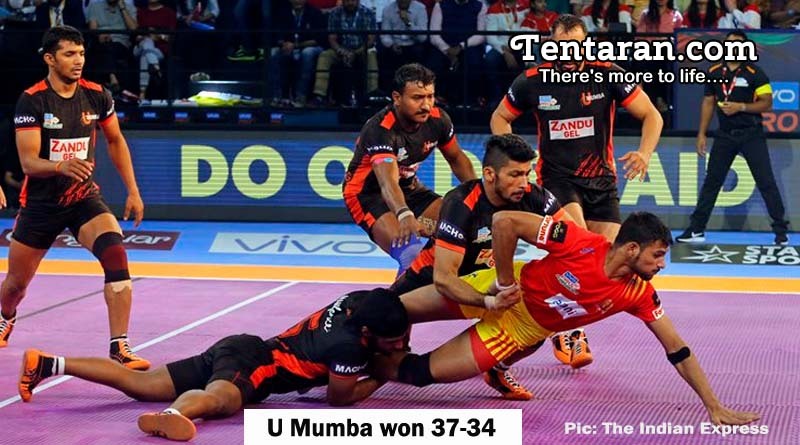 Despite Captain Anup Kumar not turning up for the match, Shabeer Bappu showed his immense talent as he most of the damage to take Mumba to a victory. He scored 12 points in 15 raids and was critical in grabbing victory from the jaws of defeat for his team. Yoddha who had started the match brightly, gradually diminished from the match as they let go of a first half 13-10 lead. They were unable to contain the dynamic Shabeer, whose 35th minute lead turned the match on its head to give Mumba the lead for the first time in the match. There was no looking back from there, as Mumba made small work of a deflated Yoddha side to win. 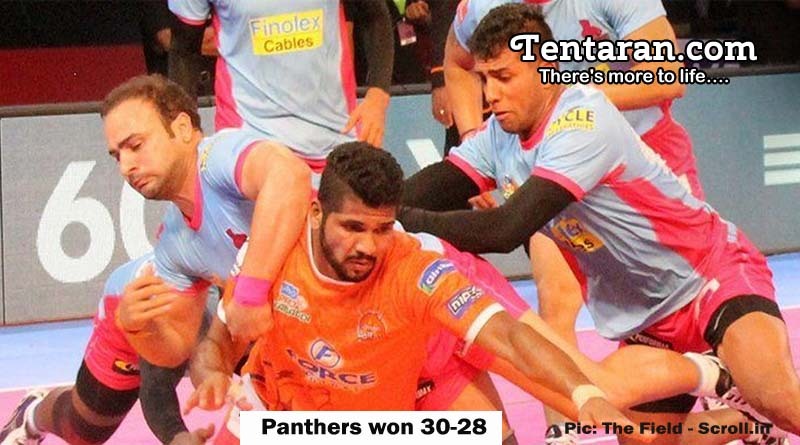 The second match of the day saw Jaipur Pink Panthers take on Bengaluru Bulls. It was a crucial match for Panthers who before the match were lying at the bottom of the table. They turned up when it mattered most though as they went on to defeat Bulls 30-28. Panthers dominated from the beginning as they rushed to a 7-3 lead. Having set the tone for the match early on, Jasvir Singh and Manjeet Chhillar led the way for Panthers to register their second win in the tournament.